Today and tomorrow are the last two days of this challenge. I can't say I'm disappointed to be going back to $50 per week for groceries. I will feel like it is tons of money after this week! It has been a good learning opportunity, but I am glad it is almost over. I miss organic dairy and yogurt. I also miss having a large variety of produce. I am glad I had the chance to try it because I really did learn a lot of things. 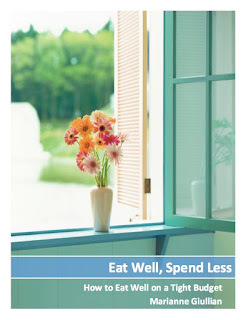 If you are willing to put in some time, you can eat very inexpensively. I also learned the importance of having garden produce to offset the cost of fresh produce. I am grateful for coupons, because I don't know if I could have done it without them. Here are the menus for our last two days. It has been much easier to do this towards the end since we have had leftovers to carry over to the next day and that gave me extra room to add other things.